Vasily Grigoryevich Zaytsev (Russian: Васи́лий Григо́рьевич За́йцев, IPA: [vɐˈsʲilʲɪj ɡrʲɪˈɡorʲjɪvʲɪtɕ ˈzajtsɨf]; 23 March 1915 – 15 December 1991) was a Soviet sniper and a Hero of the Soviet Union during World War II. Prior to 10 November 1942, he killed 32 Axis soldiers with a standard-issue rifle. Between 10 November 1942 and 17 December 1942, during the Battle of Stalingrad, he killed 225 enemy soldiers, including 11 snipers. 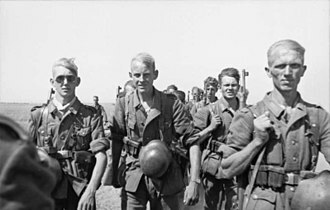 A feature-length film, Enemy at the Gates (2001), starring Jude Law as Zaytsev, was based on part of William Craig's non-fiction book Enemy at the Gates: The Battle for Stalingrad (1973), which includes a "snipers' duel" between Zaytsev and a Wehrmacht sniper school director, Major Erwin König. Zaytsev was born in Yeleninskoye, Orenburg Governorate in a peasant family of Russian ethnicity and grew up in the Ural Mountains, where he learned marksmanship by hunting deer and wolves with his grandfather and older brother. He brought home his first trophy at the age of 12: a wolf that he shot with a single bullet from his first personal rifle, a large single-shot Berdan, which at the time he was barely able to carry on his back. He graduated from seven classes of junior high school. In 1930 he graduated from a construction college in the city of Magnitogorsk, where he received the specialty of a fitter. He graduated from accounting courses. From 1937 he served in the Pacific Fleet, where he was enlisted as clerk of the artillery department. After studying at the Military School, he was appointed head of the financial part of the Pacific Fleet, in Transfiguration Bay. During his service, World War II broke out. Zaytsev served in the Soviet Navy as a clerk in Vladivostok. When Nazi Germany invaded the Soviet Union during Operation Barbarossa, Zaytsev, like many of his comrades, volunteered to be transferred to the front line. He was a chief petty officer in the Navy and was assigned the rank of senior warrant officer upon transfer to the army. He was assigned to the 1047th Rifle Regiment of the 284th "Tomsk" Rifle Division, which became part of the 62nd Army at Stalingrad on 17 September 1942. During Zaytsev's career as a sniper, he concealed himself in various locations – for example, on high ground, under rubble, or in water pipes. After a few kills, he changed his position. Together with his partner Nikolai Kulikov, Zaytsev exercised his hide and sting tactics. One of Zaytsev's common tactics was to cover one large area from three positions, with two men at each point – a sniper and a scout. This tactic, known as the "sixes", is still in use today and was implemented during the war in Chechnya. Zaytsev fought in the Battle of Stalingrad until January 1943, when a mortar attack injured his eyes. He was attended to by Vladimir Filatov, who is credited with having restored Zaytsev's sight. 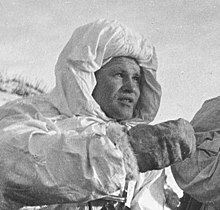 On 22 February 1943, Zaytsev was awarded the title Hero of the Soviet Union. He returned to the front and finished the war at the Battle of the Seelow Heights in Germany, with the military rank of captain. He became a member of the Communist Party in 1943. After the war, Zaytsev settled in Kiev, where he studied at a textile university before obtaining employment as an engineer. He rose to become the director of a textile factory in Kiev and remained in that city until he died on 15 December 1991 at the age of 76, eleven days before the dissolution of the Soviet Union. He was initially buried in Kiev despite his final request to be buried at Volgograd. On 31 January 2006, Vasily Zaytsev was reburied on Mamayev Hill in Volgograd with full military honors. Zaytsev's dying wish was to be buried at the monument to the defenders of Stalingrad. His coffin was carried next to a monument where his famous quote is written: "For us there was no land beyond the Volga". Colonel Donald Paquette of the U.S. Sniper School was present and laid a wreath as a sign of respect to a legendary sniper. U.S. Army News quoted Colonel Paquette: "Vasily Zaytsev is a legend and every American sniper must memorize his tactics and methods. He is a legend amongst snipers. May he rest in peace." A feature-length film, Enemy at the Gates (2001), starring Jude Law as Zaytsev, was based on part of William Craig's book Enemy at the Gates: The Battle for Stalingrad (1973), which includes a "snipers' duel" between Zaytsev and a Wehrmacht sniper school director, Major Erwin König. Zaytsev indicates in his own memoirs that a three-day duel did occur and that the sniper he killed was the head of a sniper school near Berlin. David L. Robbins's historical novel, War of the Rats (1991) includes a sniper duel in Stalingrad, but between Zaitsev and a German adversary named Colonel Heinz Thorvald, identified in the author's introduction as an actual combatant. Ramón Rosanas wrote a comic about the conflict between Zaytsev and König. ^ a b c "Biography: Vasily Zaytsev". Heroes of the Soviet Union and Russia (in Russian). ^ Sharp, Charles C. Sharp (1996). "Red Swarm". Soviet Rifle Divisions Formed From 1942 to 1945, Soviet Order of Battle World War II. X. p. 108. ^ "Prominent Russians: Military: Vasily Zaytsev". Russiapedia. ^ "Prominent Russians: Vasily Zaytsev". Russiapedia. 30 January 2014. Retrieved 30 January 2014. ^ Beevor, Antony. "My favourite war movie – and the ones I can't bear". ^ Robbins, David L. (1991). War of the Rats. Bantam. ^ Jiménez, Jesús (19 August 2013). "Ramón Rosanas lleva al cómic al famoso francotirador ruso Vasili Záitsev". Corporación de Radio y Televisión Española (in Spanish). Retrieved 26 January 2019. Zaytsev, Vasily (2003). Thoughts of a Sniper. Trans. David Givens, Peter Kornakov, Konstantin Kornakov. Ed. Neil Okrent. Los Angeles: 2826 Press Inc. ISBN 0-615-12148-9. Beevor, Antony (1998). Stalingrad. London: Penguin Books Ltd. ISBN 0-14-100131-3. Robbins, David L. (2000). War of the Rats. New York: Bantam Books. ISBN 0-553-58135-X. Wikimedia Commons has media related to Vasily Zaytsev. (in Russian) Zaytsev, Vasily (1981). Notes of a Sniper. (ZIP). Moscow: Sovremennik. Mamayev Kurgan is a dominant height overlooking the city of Volgograd in Southern Russia. The name in Russian means tumulus of Mamai, the formation is dominated by a memorial complex commemorating the Battle of Stalingrad. 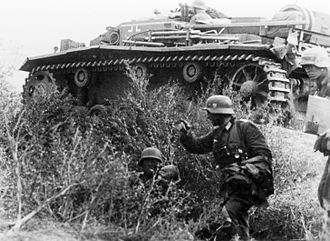 The battle, a hard-fought Soviet victory over Axis forces on the Eastern front of World War II, control of the hill became vitally important, as it offered control over the city. 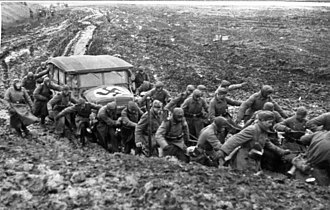 To defend it, the Soviets had built strong defensive lines on the slopes of the hill, composed of trenches, barbed-wire, the Germans pushed forward against the hill, taking heavy casualties. When they finally captured the hill, they started firing on the city centre and they captured the Volgograd railway station on 14 September 1942. 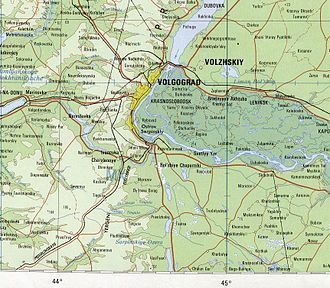 On the same day, the Soviet 13th Guards Rifle Division commanded by Alexander Rodimtsev arrived in the city from the east side of the river Volga under heavy German artillery fire, the divisions 10,000 men immediately rushed into the battle. On 16 September they recaptured Mamayev Kurgan and kept fighting for the railway station, by the following day, almost all of them had died. 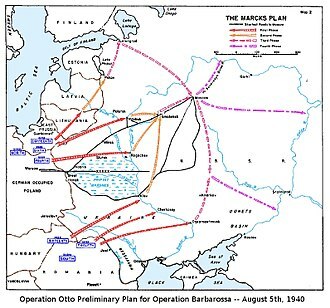 The Soviets kept reinforcing their units in the city as fast as they could, the Germans assaulted up to twelve times a day, and the Soviets would respond with fierce counter-attacks. 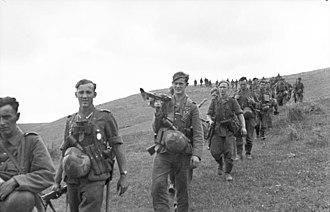 The hill changed hands several times, by 27 September, the Germans again captured half of Mamayev Kurgan. 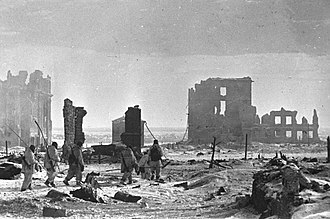 The Soviets held their own positions on the slopes of the hill, the defenders held out until 26 January 1943, when the counterattacking Soviet forces relieved them. The battle of the city ended one week with an utter German defeat. When the battle ended, the soil on the hill had been so thoroughly churned by shellfire, the earth on the hill had remained black in the winter, as the snow kept melting in the many fires and explosions. In the following spring the hill would still remain black, as no grass grew on its scorched soil, the hills formerly steep slopes had become flattened in months of intense shelling and bombardment. Even today, it is possible to find fragments of bone, after the war, the Soviet authorities commissioned the enormous Mamayev Kurgan memorial complex. Sniping requires the development of basic infantry skills to a high degree of skill. A snipers training incorporates a variety of subjects designed to increase value as a force multiplier. The art of sniping requires learning and repetitively practicing these skills until mastered, a sniper must be highly trained in long range rifle marksmanship and field craft skills to ensure maximum effective engagements with minimum risk. The verb to snipe originated in the 1770s among soldiers in British India in reference to shooting snipe, the agent noun sniper appears by the 1820s. The term sniper was first attested in 1824 in the sense of the word sharpshooter, a somewhat older term is sharp shooter, a calque of 18th-century German Scharfschütze, in use in British newspapers as early as 1801. According to figures released by the United States Department of Defense, the average number of rounds expended by U. S. military snipers to kill one enemy soldier is 1.3 rounds. According to the United States Army, the soldier will hit a man-sized target 10 percent of the time at 300 meters using the M16A2 rifle. 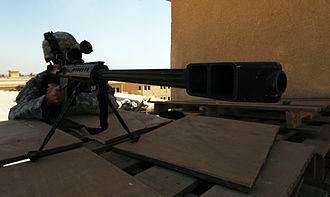 Graduates of the United States Army Sniper School are expected to achieve 90 percent first-round hits at 600 meters, different countries use different military doctrines regarding snipers in military units and tactics.50 BMG, like the Barrett M82, McMillan Tac-50, and Denel NTW-20. Soviet- and Russian-derived military doctrines include squad-level snipers, snipers have increasingly been demonstrated as useful by US and UK forces in the recent Iraq campaign in a fire support role to cover the movement of infantry, especially in urban areas. Military snipers from the US, UK, and other countries that adopt their military doctrine are typically deployed in two-man sniper teams consisting of a shooter and spotter, a common practice is for a shooter and a spotter to take turns in order to avoid eye fatigue. A sniper team would be armed with its long weapon. Sniper rifles are classified as crew-served, as the term is used in the United States military, a sniper team consists of a combination of one or more shooters with force protection elements and support personnel, such as a spotter or a flanker. Russians are an East Slavic ethnic group native to Eastern Europe. The majority of Russians inhabit the state of Russia, while notable minorities exist in Ukraine, Kazakhstan. A large Russian diaspora exists all over the world, with numbers in the United States, Israel. Russians are the most numerous group in Europe. They are predominantly Orthodox Christians by religion, the Russian language is official in Russia, Kazakhstan and Tajikistan, and spoken as a secondary language in many former Soviet states. There are two Russian words which are translated into English as Russians. One is русские, which most often means ethnic Russians, another is россияне, which means citizens of Russia. The former word refers to ethnic Russians, regardless of what country they live in, under certain circumstances this term may or may not extend to denote members of other Russian-speaking ethnic groups from Russia, or from the former Soviet Union. The latter word refers to all people holding citizenship of Russia, regardless of their ethnicity, translations into other languages often do not distinguish these two groups. The name of the Russians derives from the Rus people, the name Rus would have the same origin as the Finnish and Estonian names for Sweden and Rootsi. According to other theories the name Rus is derived from Proto-Slavic *roud-s-ь, the modern Russians formed from two groups of East Slavic tribes and Southern. The tribes involved included the Krivichs, Ilmen Slavs, Vyatiches, genetic studies show that modern Russians do not differ significantly from Belarusians and Ukrainians. Some ethnographers, like Zelenin, affirm that Russians are more similar to Belarusians, such Uralic peoples included the Merya and the Muromians. 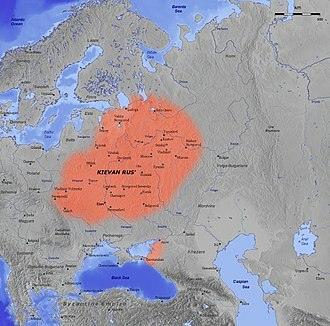 Outside archaeological remains, little is known about the predecessors to Russians in general prior to 859 AD when the Primary Chronicle starts its records and it is thought that by 600 AD, the Slavs had split linguistically into southern and eastern branches. Later, both Belarusians and South Russians formed on this ethnic linguistic ground, the same Slavic ethnic population settled the present-day Tver Oblast and the region of Beloozero. The Russian Empire was a state that existed from 1721 until it was overthrown by the short-lived February Revolution in 1917. One of the largest empires in history, stretching over three continents, the Russian Empire was surpassed in landmass only by the British and Mongol empires. The rise of the Russian Empire happened in association with the decline of neighboring powers, the Swedish Empire, the Polish–Lithuanian Commonwealth, Persia. It played a role in 1812–14 in defeating Napoleons ambitions to control Europe. The House of Romanov ruled the Russian Empire from 1721 until 1762, and its German-descended cadet branch, with 125.6 million subjects registered by the 1897 census, it had the third-largest population in the world at the time, after Qing China and India. Like all empires, it included a large disparity in terms of economics, there were numerous dissident elements, who launched numerous rebellions and assassination attempts, they were closely watched by the secret police, with thousands exiled to Siberia. Economically, the empire had an agricultural base, with low productivity on large estates worked by serfs. The economy slowly industrialized with the help of foreign investments in railways, the land was ruled by a nobility from the 10th through the 17th centuries, and subsequently by an emperor. Tsar Ivan III laid the groundwork for the empire that emerged and he tripled the territory of his state, ended the dominance of the Golden Horde, renovated the Moscow Kremlin, and laid the foundations of the Russian state. 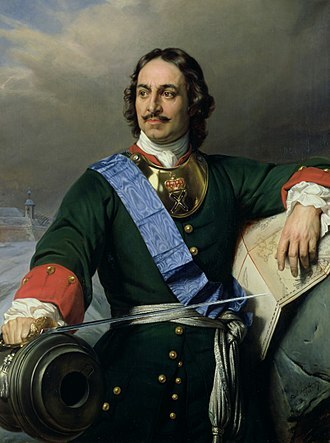 Tsar Peter the Great fought numerous wars and expanded an already huge empire into a major European power, Catherine the Great presided over a golden age. She expanded the state by conquest and diplomacy, continuing Peter the Greats policy of modernisation along West European lines, Tsar Alexander II promoted numerous reforms, most dramatically the emancipation of all 23 million serfs in 1861. His policy in Eastern Europe involved protecting the Orthodox Christians under the rule of the Ottoman Empire and that connection by 1914 led to Russias entry into the First World War on the side of France and Serbia, against the German and Ottoman empires. A mortar is a device that fires projectiles at low velocities and short ranges. The mortar has traditionally used as a weapon to propel explosive mortar bombs in high-arcing ballistic trajectories. The weapon is typically muzzle-loading with a short, often smooth-bore barrel, Modern mortars are light and easily portable. They can be used for fire support with a variety of ammunition. Mortars have been used for hundreds of years, originally in siege warfare, many historians consider the first mortars to have been used at the 1453 siege of Constantinople by Mehmed the Conqueror. A European account of the 1456 siege of Belgrade by Giovanni da Tagliacozzo said that the Ottoman Turks used seven mortars that fired stone shots one Italian mile high. The time of flight of these was long enough that casualties could be avoided by posting observers to give warning of their trajectories. However, earlier mortars were used in Korea in a 1413 naval battle when Korean gunsmiths developed the Wangu, the earliest version of the Wangu dates back to 1407. Choe Hae-san, the son of Choe Mu-seon, is credited with inventing the first Wangu. Early mortars, such as the Pumhart von Steyr, were large and heavy. Simply made, these weapons were no more than iron bowls reminiscent of the kitchen, an early transportable mortar was invented by Baron Menno van Coehoorn. This mortar fired a shell, which had a fuse lit by the hot gases when fired. This innovation was taken up, necessitating a new form of naval ship. Mortars played a significant role in the Venetian conquest of Morea, an early use of these more mobile mortars as field weapons was by British forces in the suppression of the 1719 Jacobite rising at the Battle of Glen Shiel. High angle trajectory mortars held an advantage over standard field guns in the rough terrain of the West Highlands of Scotland. Coehorn-type mortars of approximately 180 pounds weight were used by both sides during the American Civil War and these answered as coehorns, and shells were successfully thrown from them into the trenches of the enemy. The Communist Party of the Soviet Union, abbreviated in English as CPSU, was the founding and ruling political party of the Union of Soviet Socialist Republics. 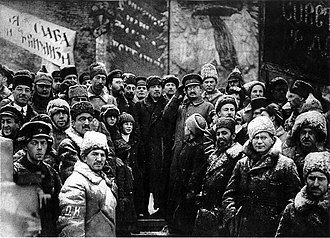 The party was founded in 1912 by the Bolsheviks, a group led by Vladimir Lenin which seized power in the aftermath of the October Revolution of 1917. The party was dissolved on 29 August 1991 on Soviet territory soon after a failed coup détat and was abolished on 6 November 1991 on Russian territory. The highest body within the CPSU was the party Congress, which convened every five years, when the Congress was not in session, the Central Committee was the highest body. Because the Central Committee met twice a year, most day-to-day duties and responsibilities were vested in the Politburo, the Secretariat, and the Orgburo. The party leader was the head of government and held the office of either General Secretary, Premier or head of state, or some of the three offices concurrently—but never all three at the same time. The CPSU, according to its party statute, adhered to Marxism–Leninism, a based on the writings of Vladimir Lenin and Karl Marx. The party pursued state socialism, under which all industries were nationalized, a number of causes contributed to CPSUs loss of control and the dissolution of the Soviet Union. Some historians have written that Gorbachevs policy of glasnost was the root cause, Gorbachev maintained that perestroika without glasnost was doomed to failure anyway. Others have blamed the stagnation and subsequent loss of faith by the general populace in communist ideology. The Russian Socialist Federative Soviet Republic, the worlds first constitutionally socialist state, was established by the Bolsheviks in the aftermath of the October Revolution. 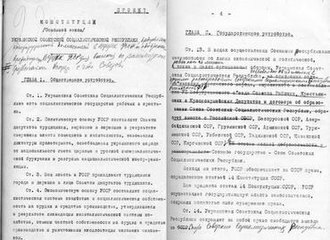 Immediately after the Revolution, the new, Lenin-led government implemented socialist reforms, including the transfer of estates, in this context, in 1918, RSDLP became Russian Communist Party and remained so until 1997. Lenin supported world revolution he sought peace with the Central Powers. 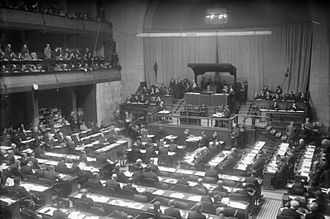 The treaty was voided after the Allied victory in World War I, in 1921, Lenin proposed the New Economic Policy, a system of state capitalism that started the process of industrialization and recovery from the Civil War. Kiev or Kyiv is the capital and largest city of Ukraine, located in the north central part of the country on the Dnieper River. The population in July 2015 was 2,887,974, Kiev is an important industrial, scientific and cultural centre of Eastern Europe. It is home to many industries, higher education institutions. The city has an infrastructure and highly developed system of public transport. The citys name is said to derive from the name of Kyi, during its history, one of the oldest cities in Eastern Europe, passed through several stages of great prominence and relative obscurity. The city probably existed as a centre as early as the 5th century. 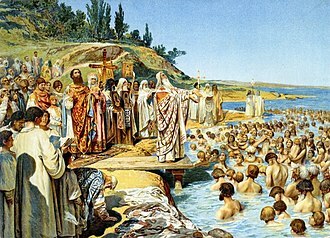 A Slavic settlement on the trade route between Scandinavia and Constantinople, Kiev was a tributary of the Khazars, until seized by the Varangians in the mid-9th century. Under Varangian rule, the city became a capital of the Kievan Rus, completely destroyed during the Mongol invasion in 1240, the city lost most of its influence for the centuries to come. It was a capital of marginal importance in the outskirts of the territories controlled by its powerful neighbours, first the Grand Duchy of Lithuania, followed by Poland. The city prospered again during the Russian Empires Industrial Revolution in the late 19th century, in 1917, after the Ukrainian National Republic declared independence from the Russian Empire, Kiev became its capital. From 1919 Kiev was an important center of the Armed Forces of South Russia and was controlled by the White Army. 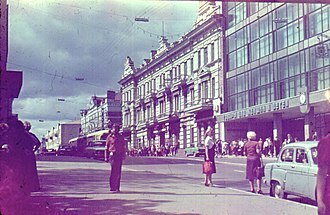 From 1921 onwards Kiev was a city of the Ukrainian Soviet Socialist Republic, which was proclaimed by the Red Army, during World War II, the city again suffered significant damage, but quickly recovered in the post-war years, remaining the third largest city of the Soviet Union. During the countrys transformation to an economy and electoral democracy. Kievs armament-dependent industrial output fell after the Soviet collapse, adversely affecting science, Kiev emerged as the most pro-Western region of Ukraine where parties advocating tighter integration with the European Union dominate during elections. A military funeral may feature guards of honor, the firing of volley shots as a salute and other military elements, with a flag draping over the coffin. Canadian military funerals involve many rituals seen in parts of the world. The Royal Canadian Horse Artillery use a 25-pounder gun and limber as the funeral vehicle, muffled drums accompany the graveside processional. The deceaseds headdress and medals are borne on a cushion into the funeral service. Volleys are fired over the grave when the body is interred, countries in the Commonwealth duplicate the British military drill and ceremony. The Canadian funeral described above typifies the funerary service, the bugle tune Last Post is played as the body is interred. In Chilean military funerals, due to its Prussian military tradition, the casket may or may not be horse-drawn on a caisson. A bugler sounds the final honors during interment, in Germany, Ludwig Uhlands song Ich hatt einen Kameraden is an integral part of a military funeral. It is played when the coffin is lowered into the grave, in Indonesia, military funerals are generally given only military members or former guerrillas and Trikora Operation Soldiers, especially those holding the Bintang Gerilya. Exceptional politicians and Ministers have the option for such a funeral, music is not performed as it is not part of Indonesian military tradition, save only during the final honors. A good example of an Indonesian military burial is that of the late president Suharto-, prayers are led by representatives of the persons religious faith. 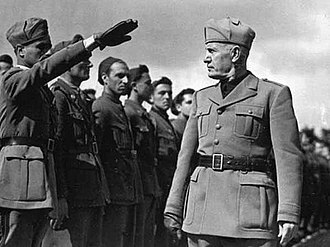 Similar traditions exist in the Indonesian National Police, in Italy the members of the Armed Forces who died in the line of duty are granted a state funeral by decree of the Prime Minister. So the funeral follows the protocol of a funeral. In Poland, the last fragment of Władysław Tarnowskis song Śpij, kolego and it is played during state ceremonies. Also part of it is a three volley salute with the firing party consisting of a platoon or company. In Spain, the troops sing La muerte no es el final, Death is not the End during funeral ceremonies and in all military ceremonies. 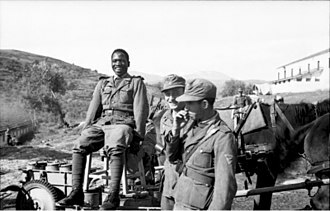 The Spanish Legion has an exception, the regimental hymn Novio de la Muerte is played in full instead during occasions that the Legion attends, the British Army carries reversed arms at military funerals. 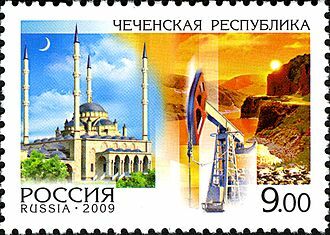 The Chechen Republic, commonly referred to as Chechnya, is a federal subject of Russia. It is located in the North Caucasus, situated in the southernmost part of Eastern Europe, the capital of the republic is the city of Grozny. 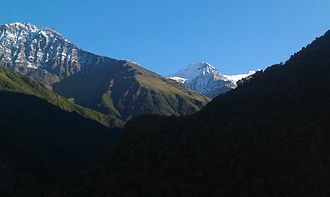 After the dissolution of the Soviet Union in 1991, the Chechen-Ingush ASSR was split into two parts, the Republic of Ingushetia and the Chechen Republic, the latter proclaimed the Chechen Republic of Ichkeria, which sought independence. 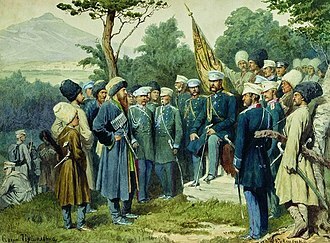 Following the First Chechen War with Russia, Chechnya gained de facto independence as the Chechen Republic of Ichkeria, Russian federal control was restored during the Second Chechen War. Since there has been a reconstruction and rebuilding process, though sporadic fighting continues in the mountains. According to Leonti Mroveli, the 11th-century Georgian chronicler, the word Caucasian is derived from the Vainakh ancestor Kavkas, dr. Henry Harpending, University of Utah, supports her claims. People living in prehistoric mountain cave settlements used tools, mastered fire, traces of human settlement that date back to 40,000 BC were found near Lake Kezanoi. Cave paintings and other evidence indicates continuous habitation for some 8,000 years. 10, 000–8000 BCE Migration of Nakh peoples to the slopes of the Caucasus from the Fertile Crescent, Invention of agriculture and the domestication of animals. Pottery is known to the region, settlements made out of clay bricks discovered in the plains. 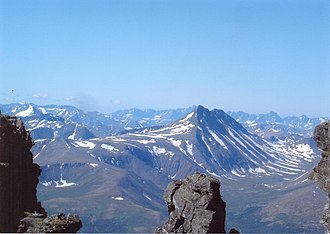 In the mountains there were discovered settlements made out of stone and surrounded by walls, 4000–3000 BCE Invention of the wheel, horseback riding, metal works, armor, knives, arrow tips. The artifacts were found near Nasare-Cort, Muzhichi, Ja-E-Bortz, Abbey-Gove 900–1200 AD The kingdom in the center of the Caucasus splits into Alania, german scientist Peter Simon Pallas believed that Ingush people were the direct descendants from Alania. The Alan tribes build fortresses and defense walls locking the mountains from the invaders, part of the lowland tribes occupied by Mongols. 1500 AD First Russian involvement in the Caucasus,1558 Temryuk of Kabarda sends his emissaries to Moscow requesting help against Vainakh tribes from Ivan the Terrible. The Soviet Union was dissolved on December 26,1991. It was a result of the declaration number 142-Н of the Soviet of the Republics of the Supreme Soviet of the Soviet Union and that evening at 7,32, the Soviet flag was lowered from the Kremlin for the last time and replaced with the pre-revolutionary Russian flag. Previously, from August to December, all the individual republics, the week before the unions formal dissolution,11 republics signed the Alma-Ata Protocol formally establishing the CIS and declaring that the Soviet Union had ceased to exist. The Revolutions of 1989 and the dissolution of the USSR signalled the end of the Cold War, on the other hand, only the Baltic states have joined NATO and the European Union. Mikhail Gorbachev was elected General Secretary by the Politburo on March 11,1985, aged 54, was the youngest member of the Politburo. 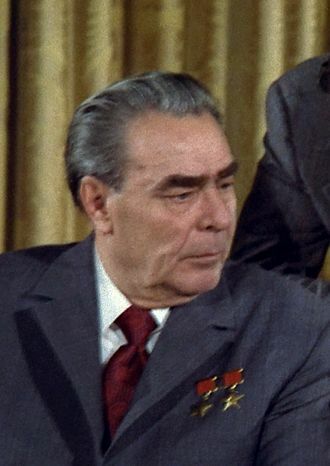 His initial goal as general secretary was to revive the Soviet economy, the reforms began with personnel changes of senior Brezhnev-era officials who would impede political and economic change. On April 23,1985, Gorbachev brought two protégés, Yegor Ligachev and Nikolai Ryzhkov, into the Politburo as full members. He kept the power ministries happy by promoting KGB Head Viktor Chebrikov from candidate to full member and this liberalisation, fostered nationalist movements and ethnic disputes within the Soviet Union. 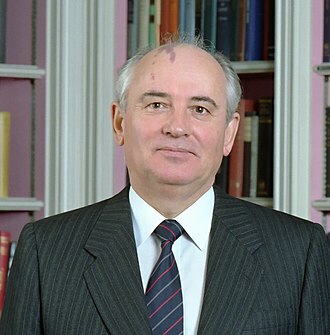 Under Gorbachevs leadership, the Communist Party of the Soviet Union in 1989 introduced limited competitive elections to a new central legislature, in May 1985, Gorbachev delivered a speech in Leningrad advocating reforms and an anti-alcohol campaign to tackle widespread alcoholism. Prices of vodka and beer were raised in order to make these drinks more expensive and a disincentive to consumers, unlike most forms of rationing intended to conserve scarce goods, this was done to restrict sales with the overt goal of curtailing drunkenness. Gorbachevs plan included billboards promoting sobriety, increased penalties for public drunkenness, Gorbachev soon faced the same adverse economic reaction to his prohibition as did the last Tsar. Chelyabinsk Oblast is a federal subject of Russia in the Ural Mountains region, on the border of Europe and Asia. Its administrative center is the city of Chelyabinsk, during the Middle Ages, the Southern Urals were populated by Bashkir tribes that were part of the Golden Horde, Nogai Horde, and smaller Bashkir unions. 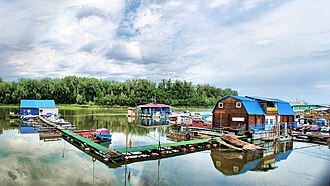 The area was incorporated into the Tsardom of Russia in the late 16th century, many cities of Chelyabinsk Oblast, including the city of Chelyabinsk itself, trace their history back to those forts. In 1743, the Chelyabinsk fortress became a center of the Iset Province, the 1750s-1770s saw the emergence of industrial enterprises in South Ural, when the first factory-centered towns like Miass and Zlatoust were founded. After South Ural recovered from the Pugachevs Rebellion, the territory of modern-day Chelyabinsk Oblast started to more people from the European part of Russia. 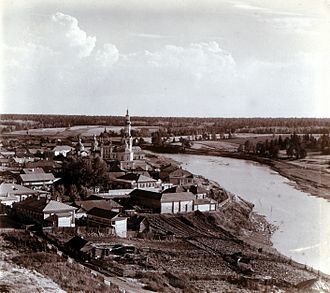 In 1919, Chelyabinski became the capital of the newly formed Chelyabinsk Governorate. At this time, the population of the new region already exceeded one million people, in 1923, together with the Perm and Tyumen governorates, it was merged into a single Ural Oblast that lasted less than ten years, until 1934. On January 17,1934, Chelyabinsk Oblast was finally established and its current boundaries were formed when Kurgan Oblast was detached from it in 1943. 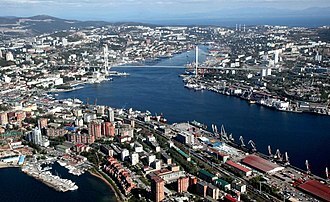 During the 1930s, the economy and industrial output grew as Chelyabinsk Oblast became a key focus of the first Five-Year Plans. The economy continued to grow with the outbreak of the Great Patriotic War, as industries were evacuated from the parts of the Soviet Union to Ural. During the war, Magnitogorsk alone produced one third of all Soviet steel, while the city of Chelyabinsk became the center of Soviet tank production. Chelyabinsk Oblast has been associated with nuclear research since the 1940s. While there are no power stations in Chelyabinsk, a number of production reactors were located there starting with the early Cold War. 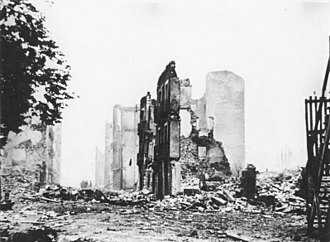 The province was closed to all foreigners until 1992, with the exception of allowing a British medical team following a two-train rail explosion in the mid-1980s. The documentary Chelyabinsk, The Most Contaminated Spot on the Planet was made by Slawomir Grunberg about the dumping of radioactive waste in the Techa River. 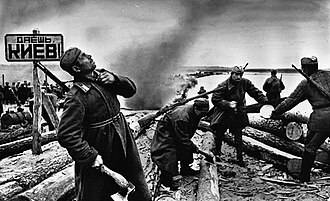 Soviet soldiers preparing rafts to cross the Dnieper during the Battle of the Dnieper (1943). The sign reads: "Let's get Kiev!" 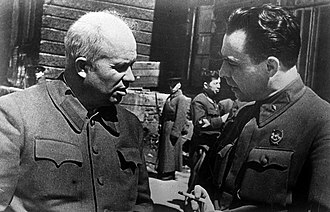 Three Soviet leaders were either born or raised in Ukraine: Nikita Khrushchev and Leonid Brezhnev (depicted here together); and Konstantin Chernenko. The Declaration of Independence, as printed on the ballot for the referendum on 1 December 1991. 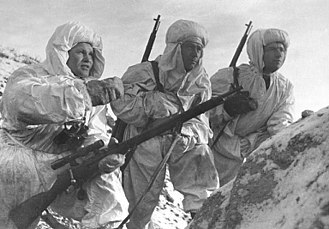 Vasily Zaytsev, left, and Soviet snipers equipped with Mosin-Nagant M1891/30 during the Battle of Stalingrad in December 1942. A modern sniper weapon system which consists of a sniper rifle (here Barak HTR 2000 chambered in 0.338 Lapua Magnum), Telescopic sight (Leupold Mark IV x10) and additional optics. 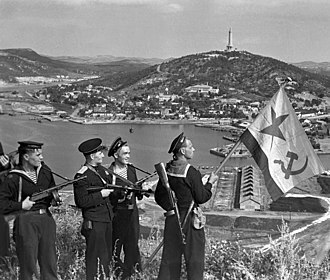 Pacific Fleet marines of the Soviet Navy hoisting the Soviet naval ensign in Port Arthur, on October 1, 1945. A Whiskey Twin Cylinder class guided missile submarine, an important platform for launching anti-ship strikes. Kirov-class battlecruiser is a class of nuclear-powered warship. Lt. Gen. V.I. 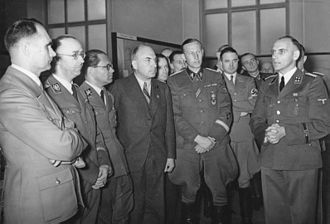 Chuikov (left), commander of 62nd Army, and Lt. Gen. K.A. Gurov, army commissar, examine Sgt. V.G. Zaitsev's sniper rifle. A Chechen man prays during the Battle of Grozny. French mortar diagram from the 18th century. 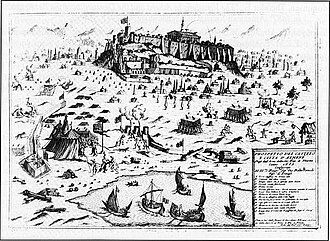 Engraving depicting the Venetian siege of the Acropolis of Athens, September 1687. The trajectory of the shell that hit the Parthenon, causing its explosion, is marked. 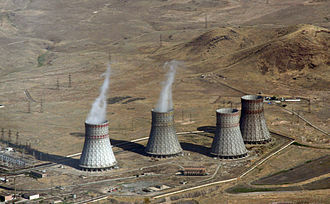 Environmental concerns over the Metsamor nuclear power plant drove initial demonstrations in Yerevan. 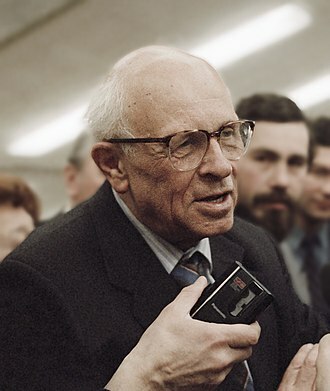 Andrei Sakharov, formerly exiled to Gorky, was elected to the Congress of People's Deputies in March 1989. The United States Army Caisson Platoon of the 3rd United States Infantry Regiment "The Old Guard" transports the flag-draped casket of Sergeant Major of the Army George W. Dunaway on a horse-drawn limbers and caissons during a military funeral procession at Arlington National Cemetery, 2008. 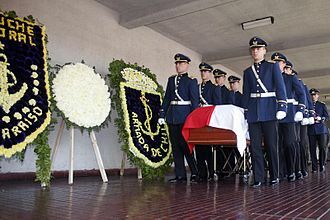 Chilean Army cadets carrying the coffin of general Augusto Pinochet. Kiev City State Administration official request for Wikimedia Foundation to switch "Kiev" to "Kyiv". The Hungarians at Kiev in 830 (by Pál Vágó); also see: Rus' Khaganate. 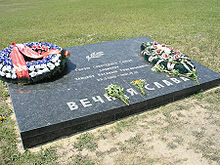 The tomb of Vladimir Filatov. 2nd Christian Cemetery in Odessa. The tombstone of Nadezhda Puchkovskaya. The Second Christian Cemetery in Odessa. Soviet monument at the Seelow Heights. Vasily Zaytsev, possibly the most well known Soviet sniper in the west. Ivan Sidorenko, one of the top Soviet snipers in the war, with five hundred confirmed kills. Vasily Zaitsev's actual sniper rifle on display at the Volgograd's Stalingrad Panorama Museum. Actor Jude Law (who portrays Zaitsev) uses an accurate version of the weapon in the film: a 7.62×54mmR Mosin Model 1891/30 sniper rifle with a PU 3.5× sniper scope.